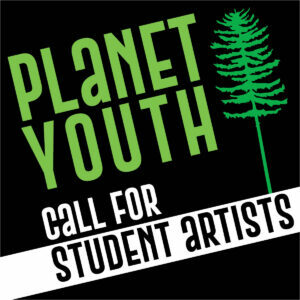 PLANET YOUTH! is a student art gallery show at the Elora Centre for the Arts, featuring selected work that draws upon trees as creative inspiration. We will celebrate the strength, healing and resiliency found in trees and highlight how we can learn, grow and face challenges like they do, despite the storms that come. The gallery exhibition will be called “See the Forest Through the Trees: a Youth Exhibition in Support of Mental Health.” Prizes will be awarded for the top entries! The concept: Utilizing 12 key landmark trees in the community as a benchmark for inspiration, the exhibition will draw parallels between the strength and resiliency of trees and how humans can build similar roots of strength within themselves in order to face the world and all the seasons and stages of life. Photography submissions on memory stick (will be returned, please put your name on it) or emailed in high resolution jpeg format to director@ecfta.ca, poetry submissions in hard copy format or emailed to director@ecfta.ca. All other submissions must be dropped off to the Elora Centre for the Arts in person prior to the deadline. All submissions must be labelled with YOUR NAME, NAME OF PIECE, EMAIL ADDRESS and PHONE NUMBER. Opening reception for ALL artists (anyone who submitted work, plus selected exhibition artists) – friends, family and community are invited on Saturday June 1 from 2-4PM. Admission is free.